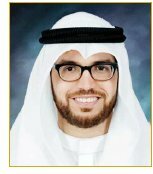 Dr Mussaad Al-Razouki is the Chief Executive Office at Kleos Healthcare Corporation a Kuwaiti WLL that provides excellence in strategic planning and management for Middle East healthcare entities including investment companies, clinical service providers (i.e. hospitals), payors (i.e. insurance companies) and government regulatory bodies. Dr. Razouki has over 10 years experience in healthcare, shifting from a focus on excellence in clinical practice and research to the management and financing of healthcare systems. A graduate of Columbia Business School, Dr. Razouki is the first ever Arab national to receive an MBA in Healthcare Management and Finance from Columbia Business School. An Oral and Maxillofacial surgeon by training, Dr. Razouki has completed clinical rotations at New York Presbyterian Hospital of Columbia University Medical Center, Harlem Hospital, Cleveland University Hospital of Case Western Reserve University and Mass General Hospital of Harvard University.